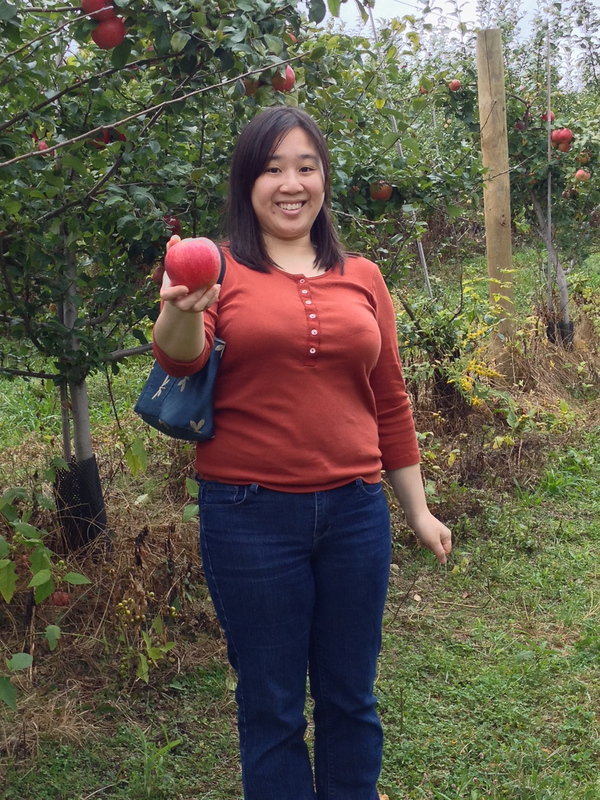 Back in September, I was initiated into the Northeast tradition of apple picking during the Fall when Diana and I drove out of the city and stayed at Ashford Cottage in Warwick. I've stayed at a lot of bed and breakfasts before and Ashford Cottage is one of my favorites. Terry, the innkeeper was a total riot and Irish to boot so there were little touches throughout the house like the Gaelic blessing above the door and the sleeping leprechauns in the entryway (it's no secret that I'm totally in love with Ireland). The house itself was tasteful and immaculate to an extent I didn't know was possible. The apple picking was great fun -- perhaps the first time I really felt the East coast had something I would miss in California. We ate deliciously sweet apples straight from the tree and filled whatever room was left in our bellies with cider. Please see our pictures in the Photo Gallery.